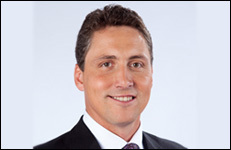 An integral part of TSN’s comprehensive hockey coverage, Darren Dreger breaks news, files stories that take viewers inside the game, and is part of panel discussions and debates. He also appears on SportsCentre and That's Hockey, and contributes regularly to TSN.ca. His lengthy hockey broadcast experience includes hosting Ottawa Senators, Edmonton Oilers and Toronto Maple Leafs games, hosting NHL pre-game shows, game analysis for the IIHF Men's World Hockey Championship, and was an integral part of hockey broadcasts at the last two Olympic Winter Games. Dreger is no stranger to the family having worked at CTV Winnipeg from 1993 to 1997 as a sports anchor and hockey reporter. Born in Red Deer, Alta., Dreger grew up in Saskatchewan and broke into the broadcast industry in 1987 at CJGX Radio in Yorkton, Sask.